Wailea is the only resort in the state of Hawaii with has three resort courses; something for every golfer, from picturesque to challenging. 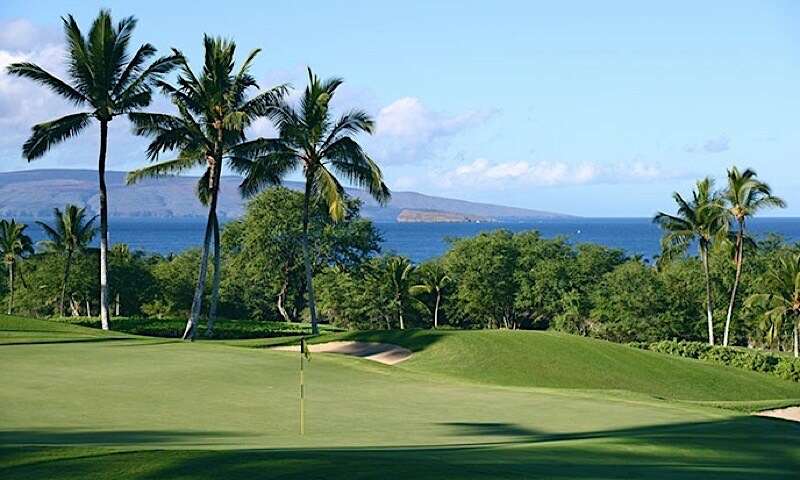 Enjoy beautiful Maui views from every hole as you play courses designed by the best. The Gold, Emerald, and Blue courses each have something special to offer all year. Wailea Golf Club has an expanded selection of eco-sensitive golf products in its award-winning pro shop. Environmental stewardship efforts also include brackish water systems, biodegradable tees, and recycling programs for plastic, glass, aluminum and cardboard. 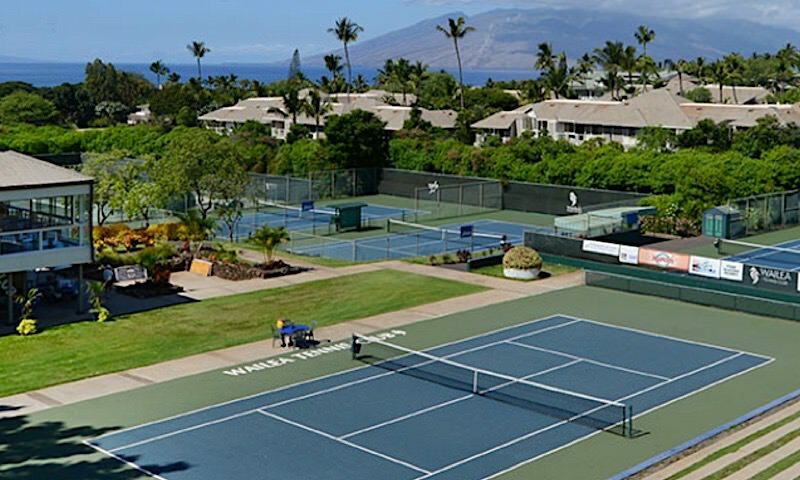 Wailea also boasts the Wailea Tennis Club, which welcomes Maui residents and visitors alike. The 7,078-yard Wailea Gold is the most challenging of Wailea’s trio, with a design that takes advantage of the natural terrain. Four to six tee boxes on every hole also make it a suitable course for virtually every player. A Robert Trent Jones II design, the Gold was honored by both Golf Magazine and Golf Digest as one of the country’s ten best new resort courses when it opened in 1994. 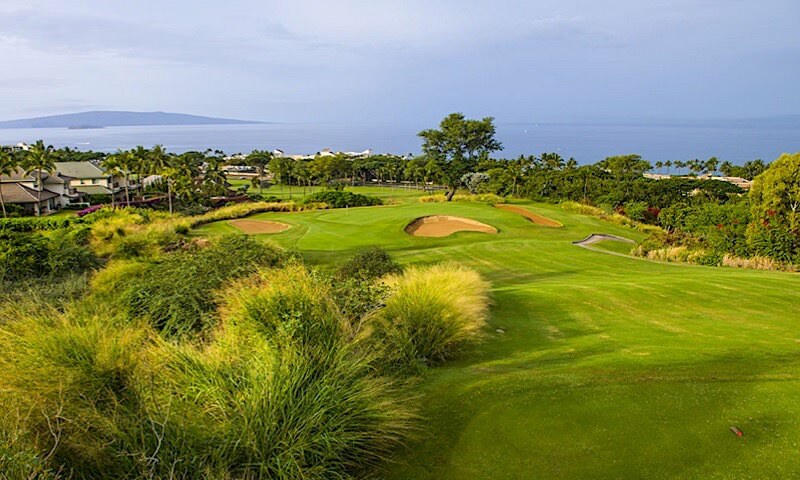 It has also been recognized by the Maui Historical Society for its preservation of prehistoric lava rock walls during construction and hailed as one of the world’s best designed courses by the readers of Condé Nast Traveler in the magazine’s first golf resorts poll. 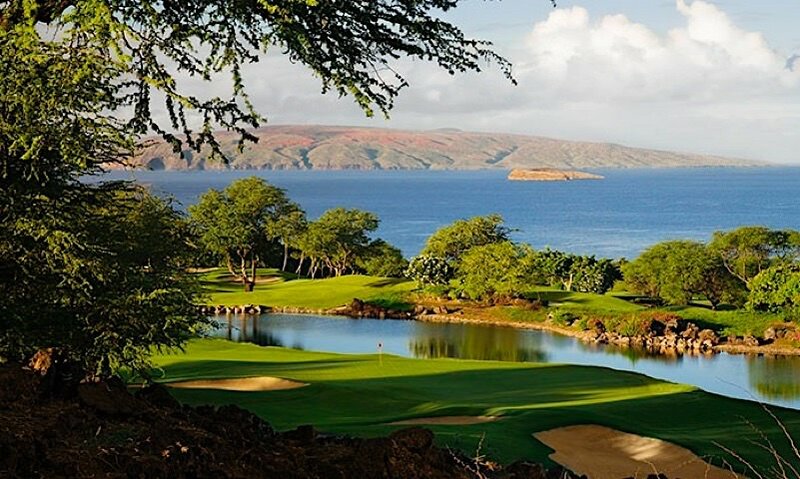 A fun course for every level of player, the 6,825-yard Wailea Emerald Course was one reason Golf for Women Magazine has granted the Wailea Golf Club a Top Fairways Award for the country’s most women-friendly golf clubs, seven times. The Emerald features carpet-like fairways, colorful foliage, and spectacular views of the Pacific Ocean and Mt. Haleakala. The kind fairways with few forced carries make it ideal for players who enjoy the recreation aspect of golf. For players seeking a greater challenge, four to six tee boxes on every hole allow them to test their skill level. Maui’s skyline is dominated by Mt. Haleakala, a majestic 10,023-foot dormant volcano. Winding across her lower foothills among the beautiful homes and condos of Wailea, the fairways of the Wailea Blue Course stretch 6,765 yards from its tips. This classic Arthur Jack Snyder beauty has charmed many a Wailea golfer for many years. The Wailea Blue is a true Hawaiian resort course weaving through the resort, offering a picturesque “tour” of Wailea, with spectacular views of the ocean and volcano. The flowing design and generous fairways offer a pleasant round for “weekend” golfers, but elevation changes and strategically placed hazards have tested some of the best professional players. The ocean views can be mesmerizing as in years back when the LPGA Women’s Kemper Open was played here, tournament officials had to admonish some of the competitors for slow play. Even the pros couldn’t help but do a little whale watching at the 12th hole. The Wailea Tennis Club has to be one of the most beautiful places anywhere to play tennis. This premier Maui tennis facility was the 2007 USTA National Facility of the Year. Located in the heart of Wailea on the south coast of Maui the Wailea Tennis Club is surrounded by Major Resort Hotels and beautiful condominiums. There are 11 Plexi-Pave courts (2 lit), clubhouse, backwall, and more. The club welcomes Maui residents and visitors alike.